In the studio, you can not only get the initial skills in the techniques of weaving from beads, but also increase your skill level. The art of beading is known since the days of Ancient Egypt. In those days beads were worn by the robes of the pharaohs. In consequence, already in the 19th century in France in a separate direction was highlighted beaded floristry, as one of the interesting areas of work with beads. To date, beaded floral offers a lot of opportunities to create unique beauty beads flowers, trees, as well as original interior compositions, both for beginners and experienced masters. This direction of creativity will allow you to show not only your skills in working with beads, but also fantasy! After all, each handicraft creation is unique and unique in its kind. In the fascinating creation of beaded flowers, trees and interior compositions, all members of your family, even children, can take part. Your hobby will rally the family and become a new way of pastime, and products created within the family for a long time will not only please the eye and decorate your house, but also keep warm memories. 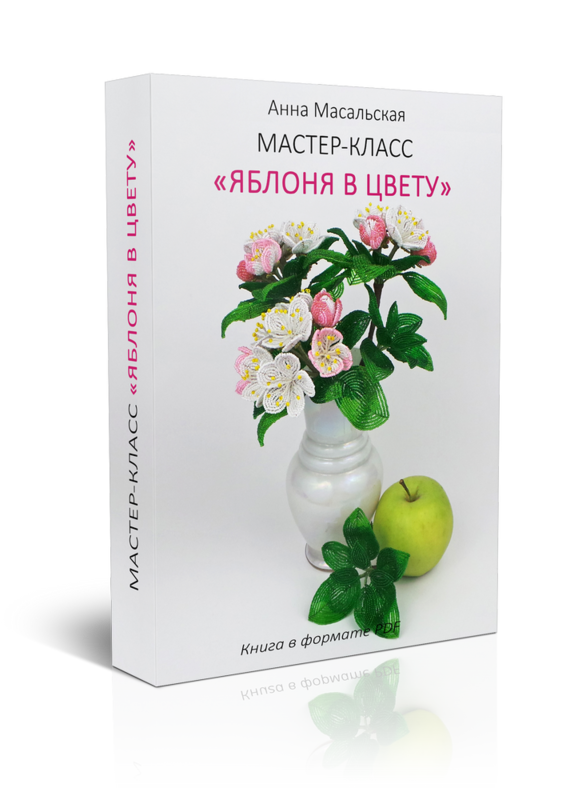 Training in the studio of beaded floristics «Flora and Biser» I spend — Anna Masalskaya, master of beaded floristics with 9 years of experience and a certified interior designer. All master classes and video lessons of the studio are my author’s workings and are available both for experienced beadwork masters and for those who begin their creative way of needlewomen. After training you can create unique products that will decorate the interior of your house, as well as become an original gift for your loved ones. I will be glad to become your guide in the boundless world of beaded floristics!